I am starting this thread to show the results of our customers - please feel free to ask questions. 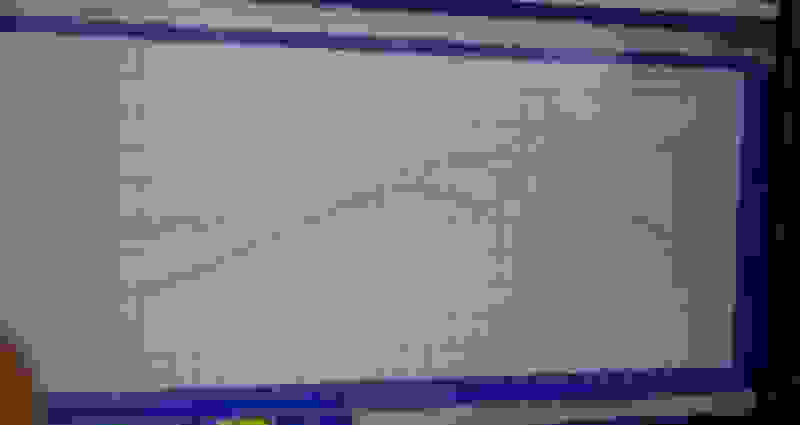 Last edited by Tuned By Shawn; 02-04-2019 at 06:26 PM. Cool, but what were the before numbers? Absolute dyno numbers aren't super useful. It's a little weird that the APV and VDI dips are at different points in the rpm range. Were they retimed? Or is this some weird artifact of data smoothing? Last edited by Loki; 02-01-2019 at 03:11 PM. Owner did not dyno the car prior to the tuning - Adaptronic Modular plug N Play Rx8 S1 ECU lets me control all aspects of the engine thus I changed the points that the APV and VDI open. 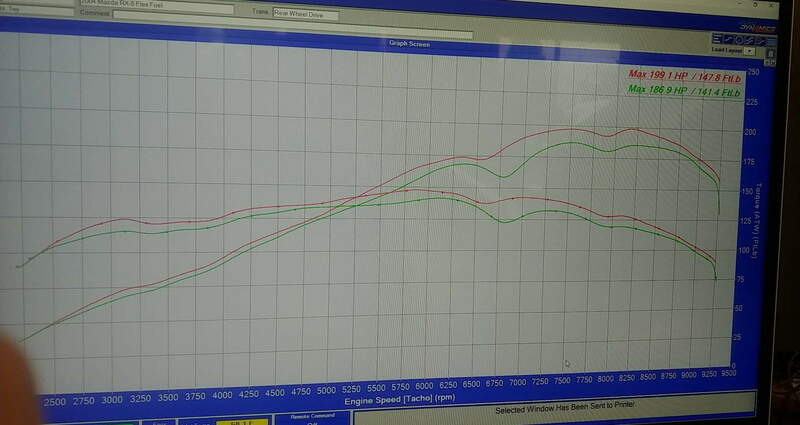 Also we worked on the dip more on the ethanol tune more than the pump gas tune. Correct me if im wrong, but looking at the graph it looks like the valves need to be opened up sooner. Like 300-500 rpm sooner. It looks like the motor is gasping for air and choking out losing power until the appropriate valve opens up and breathes more air into the block. We tried many different valve time openings this is was the best results we could get with this particular setup - I presume every setup will be a little different depending on the bolt on's - also the the dip moves with the valve if you set the APV to open at 4200 you have a dip at 4200. Last edited by Tuned By Shawn; 02-01-2019 at 05:05 PM. Thing: people who still drive rotaries in 2019 over index on STEM mindsets (and maybe under index on social skills), so you better show up with before/afters. In time with consistency the results will prove themselves and if the opportunity presents itself to do a back to back testing OEM to Adaptronic I will do it. Next two cars the OEM ecu is not able to be used thus I simply not be able to provide you the results of the OEM ecu. No that i can see the dyno better ... I can see that you are opening the vdi about 500rpm later than stock and that is why the curve looks odd compared to what I'm used to seeing . Overall it looks like it reaches peak power earlier which means more area under the curve . Still waiting on Minnesota weather to clear up to get some break in miles on my vehicle! I believe we have gotten a record for the most snow EVER in February lol - I also have a few customs scheduled to be tuned in march! Some interesting data comparison on the shop Rx8 car egts. The egt difference between rotors is on average 15-30 degrees Fahrenheit. IE rotor 1 is 15-30 degrees colder than rotor 2. This is about an hour 1/2 of data as tuning progression these values should improve but for most this difference is realistically acceptable. Peak egt is 1380F at 8500RPM and sub 8000RPM the average is 1175F. Interesting ..... no AFR/rotor data to go with that ? I'm seeing typically 1700F peak on the CAT sensor . I guess it reads way too high ? CAT sensor should read high especially if you still have the Air Pump as its kinda acting like an after burner on a jet.... If no air pump.. I would say your EGTs are too high! Id like to know what they are at the irons..
Current progression on tuning the shop Rx8 Car on the Adaptronic Modular s1 Rx8 Plug N Play ECU. Far from a finished tune. It's the same on all of the dozens of rx8s I've logged , air pump is only on at startup so it's def. not that! ...... Must just read high.